Four years and 20 days sober today. People who have known me a long time and who know me well also know my on and off relationship with alcohol, and our pretty dark past together. Sometimes we skip through the woods, faces turned up towards the rays of sunlight passing through the branches. Sometimes we tumble through the undergrowth in the darkest part of the night, tripping over rotten wood and slippery, mossy knells. I've written about my struggles before, and will probably again in the future. 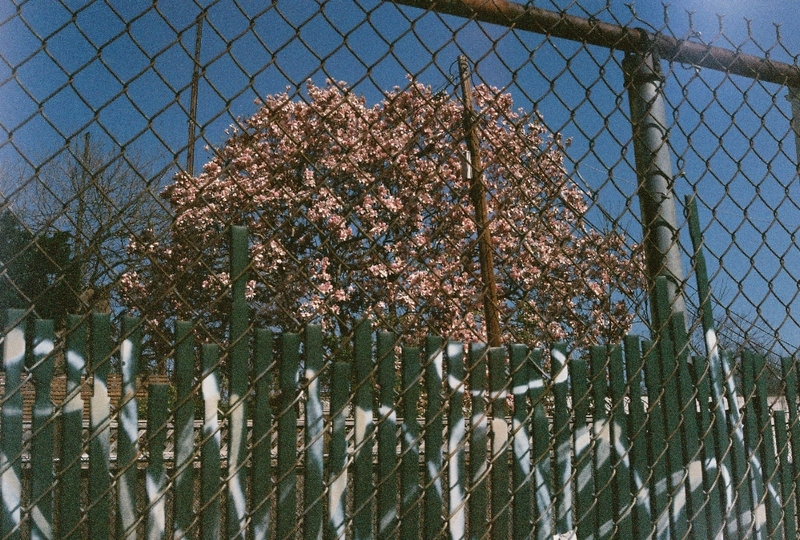 I don’t think that it is something to shy away from, as pretending they don’t exist just makes them all the more real. I don’t think keeping things secret or hidden is very healthy. I stopped drinking on August 8th 2013, also the day I stopped smoking, which also happens to be the day I found out I was 5 weeks pregnant with my first child. I probably wouldn't have stopped then if it hadn't been for this life-changing event. But I probably would have stopped at some point down the road, and started again, and stopped again. The pregnancy wasn’t really expected, but definitely embraced, and it was my line in the ground moment. I could go through life being sober and completely available to my child(ren), or I could be sober a while and then fall back into bad habits again, slowly but surely. I made the right choice right then, and won’t ever regret it. People who don’t have a drinking problem won’t really understand, and I don’t ask them to. Those who had a happy, bright childhood with no alcoholic and/or abusive parents or step parents won’t really understand either. Those who have never seen the signs of addiction, depression, and despair in their own eyes, or in a loved one’s eyes won’t really understand. And that’s fine. That’s a good thing! I would never wish any of that on anyone. But I do believe that everyone should be aware of how dangerous alcohol can really be, and understand the signs. And also be a little compassionate and empathetic too. The reasons one may turn to alcohol as a coping technique are endless, and not everyone requires treatment or help. Some people do and don’t want it. Others don’t know how to ask for it. And even then, it’s hard to know what to do, apart from being there and listening. That said, there are some alcohol abusers that one should stay away from, because they will just destroy your life while incinerating their own. Sometimes it’s best to be empathetic from a distance. Alcohol can affect everyone, no matter your gender, social status, wealth, childhood, family etc. There has recently been an upsurge in articles dealing with the relationship between motherhood and alcohol. Chrissy Teigen talked about her own relationship with alcohol and her decision to quit drinking for her own health and sanity in Cosmo this past month. I totally high five her for always speaking out and being honest. It’s refreshing, and this subject is an important one. 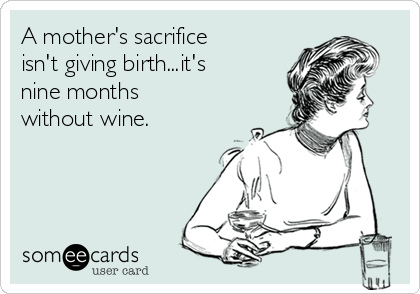 If you scroll through motherhood-related social media posts and articles you will find so many references to wine and gin moments, memes depicting that mothers need something a little stronger than coffee to get through the trials of having kids and dealing with motherhood on a daily basis. It all seems very innocent, but whenever I see frequent references to the consumption of a glass or two it sets of my spidey alert senses, warning me of danger. And not in a judgy way at all – hey if I could have a beer or a whiskey once in a while I would! As someone who grew up with an alcoholic, and therefore a warped sense of what is normal or not, and then who herself used alcohol as a way to push through her shyness and fears, I sometimes wonder now if I am overreacting to certain things. My other half likes his beer, but rarely has more than 2 or 3 in one sitting. However, I still find myself counting the bottles in the garbage and being a tad controlling. That’s not fair is it? If he goes out for a drink with friends I have to restrain myself from texting him to “check in”. I have to tell myself that no he is not my stepfather and no he is not going to transform from the person I love into a drunken monster. Luckily he understands this and doesn’t get annoyed, and I am working on myself to let go of this fear that I have inside. You see, when we found out I was pregnant I made the decision that my child(ren) would not have to deal with a parental addiction. My father and stepfather’s demons are firmly engraved into my childhood memories, and my kids will never have to deal with that. Sobriety isn’t hard for me, but trusting myself with alcohol is, and if this means never drinking again, so be it. I have other outlets that are a lot healthier for me (writing being one of them). I’m not a perfect mother, but I will do my best to make sure that my kids have a healthier relationship with alcohol than I do. And I know that that means that I need to be honest with them about my struggles too. We don’t do secrets in this house. So I will have to learn how to balance my own warped relationship with alcohol and be less wary of how destructive it can be. Or do I?! Anyway, I also decided (with my other half’s approval), that my kids would not be subjected to the drunken antics of others. This means that if you have been drinking enough to be impaired I don’t want you around my kids. I have an uncanny ability of being able to tell within seconds if someone is drunk (blame it on my childhood and on having been a bartender), even on screen (I noticed a friend was completely wasted on a video posted on social media the other day, even though we barely ever hang out – nobody else probably picked up on it though). This rule is applied even more strictly to family members. I have this recurring nightmare of my stepfather being drunk and holding my baby brother and nearly dropping him. You may think you are invincible when you are drunk (I sure did), but you aren’t. Being around unhealthy alcohol habits can be very damaging to children, especially once they start putting two and two together and realize that said family member or close family friend isn’t acting “normal”. I know that it is impossible to shield my children completely from the negative effects of drugs and alcohol, that isn’t my point. We plan on being very open about them with them as they grow older. I would rather they be honest with me about everything than feel they need to hide it. But I often wonder if maybe I am overreacting? I don’t really want to make others close to me feel uncomfortable because of my rules and boundaries, but at the same time I don’t want to be made uncomfortable too. I have a hard time telling people off in the moment when they push specific boundaries I have set, and then find myself getting angry and resentful afterwards. 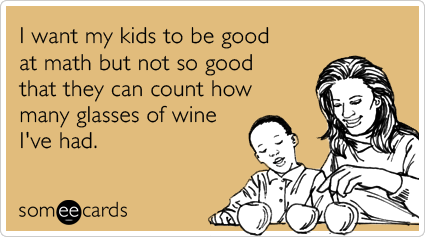 While I think it’s not much to ask to not be drunk around my kids, at the same time, maybe I shouldn’t be so strict? I don’t know, I find it a hard one to navigate. My own issues with alcohol are now in the past, mainly because my life is too important for me to give up on it, or even take the risk of falling back into that routine. But my experiences have lead me to be able to see things that others cannot and I do sometimes fear that I may see more than there is. Or maybe I tend to predict the worst? I don’t know. Maybe I am now just the annoying sober person? I just know that I don’t want my kids to see the darkness that addiction can create, and the ravages it can do to your body and your mind. It’s not pretty. I know some sober women, or women who rarely drink, find the mummy drinking memes and mummy meet alcohol-fueled parties and things isolating. I can see why they do, especially if they are feeling lonely. I don’t really, as most of these people don’t have an issue with alcohol, and are not in danger of having one. I personally don’t have an issue going to bars or other places with people who drink. I was a sober bartender for months. My issues lie in being around people who drink to excess around children on a regular basis and don’t think there is anything wrong with it. Why do we keep propagating the idea that mothers NEED alcohol once the kids have gone to bed? What’s wrong with chocolate or a long bath?! At what point do we start to call people out on it? Or should we just see it as some light-hearted fun? In any case, if you feel like you may have a problem, or you feel isolated because you don’t drink, or you just want to vent about life in general, I will always be here, doesn’t matter if you are a parent or not. Just know that there are actually quite a few of us who have or who are dealing with addiction demons and we know what it’s like and we are intent on not repeating any cycles with our kids. If this means that I sometimes overreact when it comes to alcohol, so be it. But I have seen too many people destroy themselves with it, and I know how easy it is to fall into that endless circle. I still do it for me. And maybe I am not the perfect mother I always dreamed of being I am a much better mother than I ever could have been if I were still drinking.